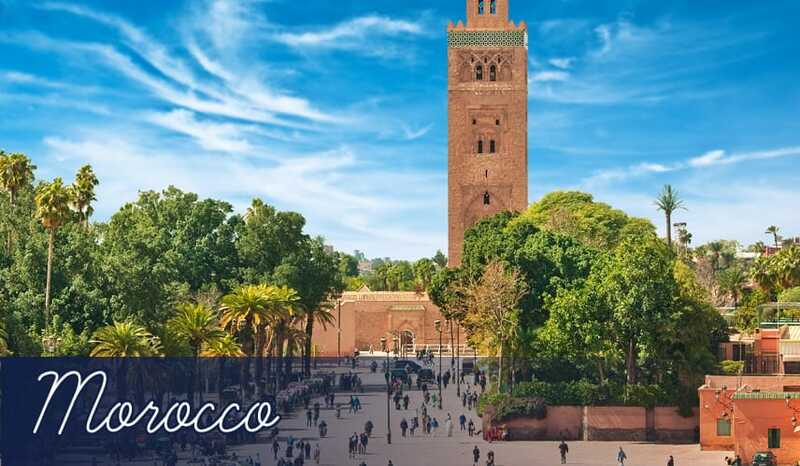 Morocco holidays 2019 are where east meets west, and north meets south. It’s a country with a fusion of cultures, and on Morocco holidays you’re just as likely to see relaxed Mediterranean-style beaches and eastern-inspired markets. This is exemplified in one of its most popular cities for Morocco holidays – Marrakech. This thriving city offers a whole range of cultural experiences during holidays here, from wandering the lively markets to visiting modern bars, restaurants and golf courses. There’s so much to explore in Marrakech, and it’s a real contrast to the beach holidays offered on the Atlantic-facing coast of Morocco.